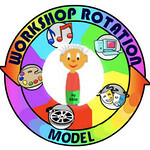 (This is, after all, called the Workshop Rotation Model™, which you can learn more about here.) While in Kindergarten, the workshops came to the kids. As 1st graders they’ll be visiting the workshops – physically moving – to a different workshop each week. How do we figure out where they go? Check out the Children’s Ministries page in the bulletin. Or ahead of time at home (or from your smartphone on your way to church – not the driver of course!) you can check out the schedule post. After the children’s moment in church, there is a large mob of kids – how does my 1st grader survive? We’ve got a system. First graders are big kids, but the older kids can look bigger! To help out with this, the 1st graders gather in the hallway outside of the Sanctuary. This allows all of the older kids to run excitedly walk ahead to their workshops. A volunteer Shepherd greets the 1st graders outside of the Sanctuary. (Look for the person holding the orange 1st grade banner.) After the older kids have disbursed, the first grade goes as a group to their workshop. On the first few weeks next fall, you may want to help your child find the banner and say goodbye in the hall; then once they are familiar with the process, you can let them leave the Sanctuary by themselves. Do I need to sign them in and out? Nope. 1st and 2nd graders will wait after class with an adult in their workshop, for pick-up by a parental unit. (3rd grade and up are dismissed to meet their families.) When you pick up your child do at least make eye contact with your child’s Shepherd! What is a Shepherd (and how else can I get involved in this great program? Glad you asked! Shepherds rotate with a class. They get to know the kids and help out as directed by the Workshop Leader (by taking attendance, forming groups of kids for a game, or assigning roles to puppeteers). Ideally Shepherds would serve twice a month from Sept. through May. There are many other ways to get involved. Email Beth Pascoe to ask more questions! Continue the faith dialogue at home. Journey with us; your family’s faith companion. Sign up to have posts sent directly to your inbox. 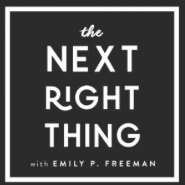 Look up at the top right, for the email subscription box. Photos are from my archives. Are you seeing ads? They are not from me! They are placed by WordPress, who otherwise offers a free platform from which to share lots of good-ness. If you see an inappropriate ad, please report it to support@wordpress.com. Include the URL, the date/time the ad appeared, and a screenshot of the ad. Helping you grow your family's faith is my passion! And hey, even if your kids have left the nest or you don't even have any kids... Join me on the journey. It is my hope that here you'll receive guidance in how to “homeschool” your family (regardless of its size) for a foundation of love and grace. Sign up to receive future posts! Click here to subscribe to emails. Rotation Sunday school lessons – free! What sort of blogger am I?